St. Imier – a market town located in a valley in the Swiss Jura mountains. It was here that Longines was founded in 1832 and it is here also that, rooted in a rich history, the brand's museum can be found. Very aware of its vast know-how and true to tradition, Longines likes to take the inspiration for new models, and in particular for the watches in its Heritage collection, from those on display in its museum. 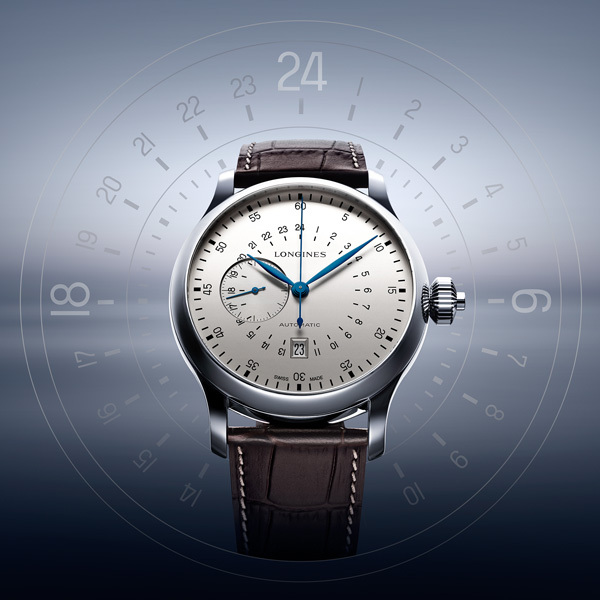 And so for its latest creation, the Longines Twenty-Four Hours Single Push-Piece Chronograph, the brand has replicated the lines of one of its pilot watch dating from the 1950s. The diameter of the original model, a magnificent 47.50 mm, has been reproduced, as well as the dial with its 24-hour scale, available in black or silver. 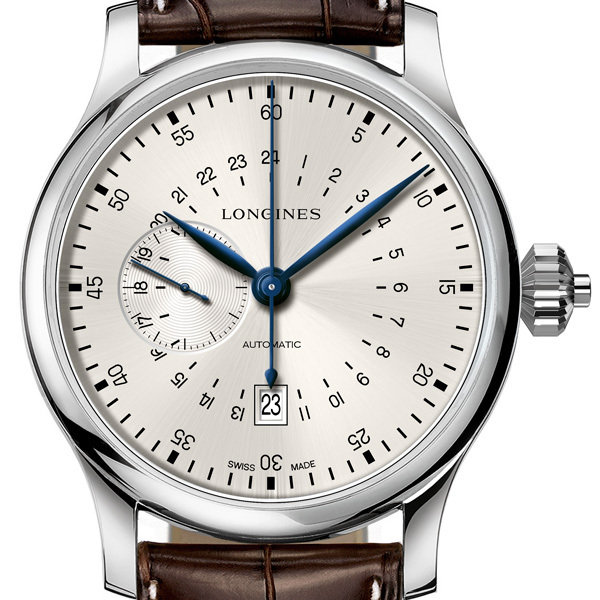 The steel case has a closed back, decorated with Longines' famous hourglass symbol, in use since 1889 and the oldest logo still in active use in its original form in the international registers of the World Intellectual Property Organisation. Each watch in this exceptional series is numbered. The model on which this new creation is based was fitted with a calibre originally intended for a pocket watch and later adapted for use in a wrist-watch. 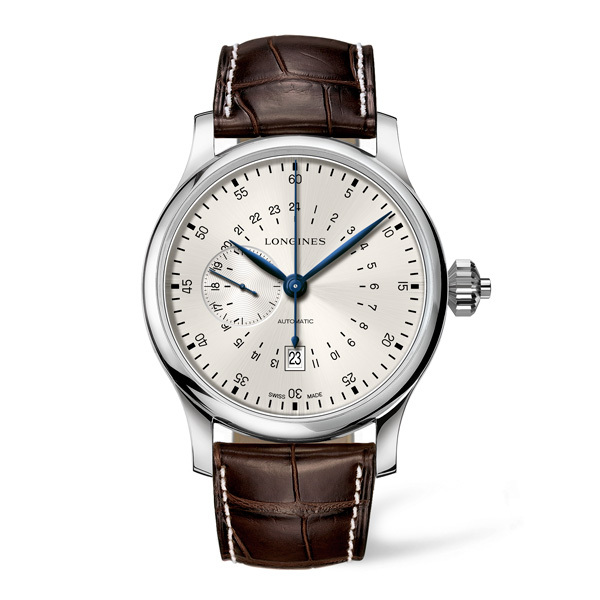 The Longines Twenty-Four Hours Single Push-Piece Chronograph houses an L789 self-winding, mechanical movement. This new column-wheel chronograph calibre, produced exclusively for Longines, is an adaptation of Longines' own single push-piece movement. It features a chronograph function, displays the time on a 24-hour scale, and has a small seconds at 18 o'clock plus a date aperture at 12 o'clock, at the bottom of the dial. It is fitted on a black or brown alligator strap to match the colour of the dial.